Atmos provides a clever solution for secure and compliant call logging – it’s South Africa’s first cloud-based voice logging solution embedded directly in any Far South PBX, meaning that you only pay for the cloud storage space you consume. Developed in partnership with Far South and Call Cabinet Corporation, this convenient tool offers enterprise-grade call logging that is compliant with local law and regulations including FICA, FAIS, POPI, and the CPA, so it can form part of training, security, and dispute resolution strategies. Enjoy peace of mind with unlimited storage for calls, encryption at source, search and sorting, and integrated backup. Atmos offers multi-site support, on-demand recording, browser-based access and playback, and it's compatible with mobile devices. Calls are individually secured, and encrypted at source. Atmos also employs a rotating encryption method, so encryption is unique to each call. 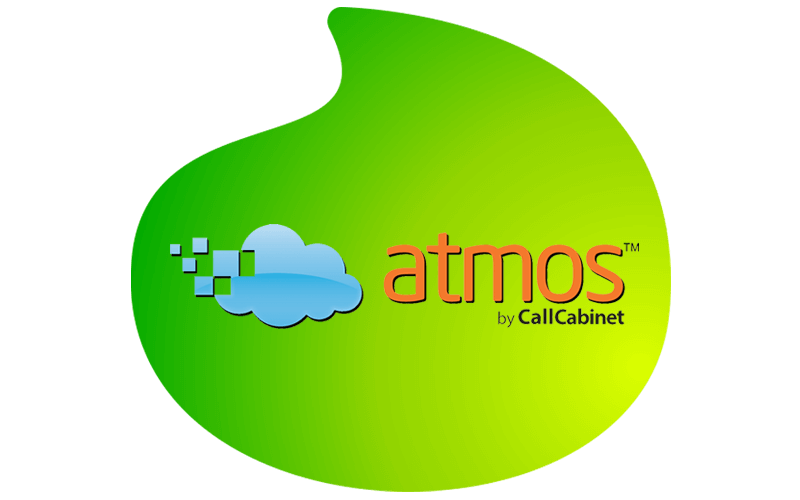 Atmos comes pre-installed on any Far South PBX or voice gateway system. Cloud-based means that while internet connectivity is required, no additional or expensive on-site hardware is needed - you just pay for your storage consumption. All calls are stored in the cloud, on a fully redundant and backed up basis. Plus: the system promises 99.99% availability. Do I need compliant call recording? Depending on your industry, the government may require you to have compliant call recording and storage to be in line with the standards of that industry. Keeping compliant is a major concern for many businesses, as sanctions, imprisonment and even shutdowns can be the result of not following the rules that regulatory bodies have put in place for your business. Businesses that deal with finances, provide healthcare, or give legal advice or help, all may be required to record any type of communication and transaction. Phone call recording software can make staying compliant extremely easy. What makes a call recording compliant? Using Atmos, 100% compliant calls are stored in a 256-bit encrypted format, with the original file preserved in its original state with a rotating encryption methodology that is unique and specific to each individual call. All calls are stored securely in the cloud (or on premise with Atmos Foundation) and can be made to be redundant across multiple servers and geographical locations. Utilising Atmos gives you the opportunity of sorting and searching your calls on different criteria making call retrieval simple and quick with a full audit trail. How long are my recordings stored for? With Atmos, your recordings are stored securely in the cloud with complete flexibility, scalability and unlimited storage. How will I be billed for Atmos? Atmos is billed based on storage consumption vs traditional on-site call recorders that required a heavy CAPEX investment for server hardware and proprietary recording licenses.